Welcome! Point and click the icons to use Operator Headgap's Web BBS! Visit the Operator Headgap Secure Online Store! We stock used Mac computers, new Mac batteries, and new and used Mac accessories. 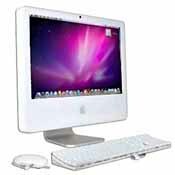 Buy used and upgraded Apple Macintosh Computers here. Don't see what you want here? Products in stock and ready to ship! Our prices include domestic shipping! Need help with your Mac? Read Bob's Mac Tech Tips. Operator Headgap's Web Based & Client connected BBS and TeleFinder Server provides FREE support for Mac, Amiga, Commodore 64 & 128 Computers! Online over 32 years (since 1986!) Updated Members only Download Area! Other system feature include a huge information library, and an easy to use message bases. Preview how the bbs appears with the graphic client. Go to the web bbs page. Join This Free System! Register for full access! FREE Personal Email! Click here to learn about it! Pick up or send mail from your Headgap account right from the web! You must be registered to use this feature. Need help? See the HDS Email Help, or view the instructions page. biz.headgap.com is now on a Digital Audio G4 Tower with a Fast Mac Processor running 1.467 Ghz running Tiger Server Software. We just Headgap's main TeleFinder Server and it is now running a Yikes G4 Tower running a Sonnet G4 500 mhz Processor, Gigabit Ethernet, 512 MB Ram and 160 Gigabytes of available storage! Our FileMaker Database Ecommerce Server is now on a PowerMac G4 Digital Audio running a FastMac 1.467 GHZ processor. We have just upgrade our additional FileMaker Database Ecommerce Server running on a PowerMac G4 Digital Audio with a 1.467 Ghz Processor. Read more about Headgap system features (clickme). All of our servers are connected via Gigabit Ethernet In January 2013, we were able to upgrade and are now offering our services at a higher rate of speed. We are now at 20+ MBPS down and 5+ MBPS up via Cox.net business in OKC, OK. Much thanks to WorldSpice.net who still handle our DNS and mail. They are without a doubt the best service provider in Memphis, Tennessee! TeleFinder the Best Mac OS Web Server! Runs only on older hardware. You too can run a MacOS based Web Server and BBS. A low cost hobby license is available. TFBBS.com provides full support for anyone using TeleFinder and associated products. The TeleFinder Mac client runs under OSX in classic mode over TCP/IP. Telefinder PC User runs on XP and later. Telefinder Client works well with Sheep Shaver and I use it regularly on my late model Mini running Mavericks. Download the TeleFinder Client Software Now! OmegaBestBuys.com - A good friend of mine recently opened up his web business. His eclectic collection of products includes Tools, Home Electronic, Security, Computer Accessories and Harley Collectibles. He works hard on making great buys and passing the savings on to you. Order online securely! Memphis Amiga Group (MAG) While no longer active this is a nicely done archive of the history, newsletters, diskmags & more. MCUC (Memphis Commodore Users Club) newsletters are now online as well. DriveJumper.com - information and sales of jumpers commonly used on hard drives, and overclocking Mac G3 systems. CoolingTechnologies.net, Tab of Memphis, Complex Industries, Learning Disabilities, Optional Schools, CustomRubberStamp.net, TFBBS.com & Store!, PortalMemphis.com, Pro-ServeInc., to our business, organization and member sites area. Please mention you saw their web site whenever you patronize them. HOSTING! - A Business Web Site Doesn't Have To Be Expensive To Be GOOD! Affordable E-Commerce Solutions Now Available! We do this for a living. Let us help you get traffic to your web site. Let's face it having the best looking web site in the world is worth nothing if no one can find it. We not only design and host top quality sites we help market your site. Business Web Sites, E-Commerce & Internet E-mail. want to get your business on the web affordably? Click Here to read about our Web Site Special! Visit PortalMemphis.com for the BEST Memphis Web Sites and get your Memphis site listed free! Looking to improve your site traffic? I wrote a regular column for a local magazine WWW.DOT called Nunn Such. Read my old somewhat dated articles from the dated TFBBS.com Press Release pages. While the material is a dated, the application of the concepts still apply. AppleCore of Memphis - We host the BBS! The Web BBS is a nice place to visit if you are a Mac User since it concentrates all of the Mac features of the system. In January 2013, we were able to upgrade and are now offering our services at a higher rate of speed. We are now at 20+ MBPS down and 5+MBPS up via Cox.net business in OKC, OK. Much thanks to WorldSpice.net who still handle our DNS and mail. They are without a doubt the best service provider in Memphis, Tennessee. Click on any of the hot links below to visit the system. In compliance with the Digital Millennium Copyright Act, Operator Headgap Systems, Inc. Owner, Bob Nunn, is the agent to receive notification of claimed infringement from a copyright owner. Apple, Apple Macintosh, Macintosh, Mac, MacOS, Mac Pro, Power Macintosh, iMac, iTunes, Disc Burner, iPod, Quadra, Centris, Performa, FireWire, LaserWriter, StyleWriter, Finder, SuperDrive, Aiport, Airport Extreme, iChat, iSight, Safari, Mojave, High Sierra, Sierra, El Capitan, Yosemite, Mavericks, Mountain Lion, Lion, Snow Leopard, Leopard, Tiger, Panther, Jaguar, Spotlight, Xcode and QuickTime are trademarks of Apple Computer, Inc. All other trademarks are properties of their prospective owners. Click Me for great values on Electronics and more.